Although the days of the stereotypical car dealer in a plaid suit are firmly in the rearview mirror, research shows that many job seekers haven’t necessarily caught on. In fact, a recent survey from Cox found that only about 1 percent of the eight hundred job seekers surveyed would be interested in a sales role in a dealership. That leaves managers and HR leaders in the industry with an uphill battle. 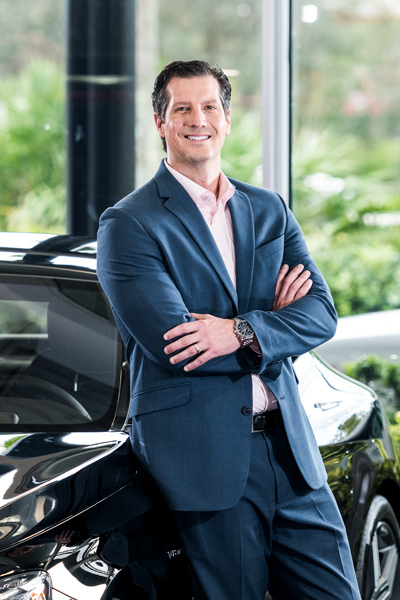 As the senior vice president, field operations and support at the largest auto retailer in the United States, AutoNation’s Dan Best knows these challenges incredibly well—and yet has found ways to not only find and hire top talent, but also provide them paths to fulfilling careers. Best first recognized the need to revamp AutoNation’s talent approach when looking at the company’s turnover numbers and the accompanying cost to replace those employees. “It was a big number and was only going to get larger, but it would be a bigger problem to not have anyone selling cars at all,” he says. Not only was the business losing employees, but the number of job applicants was dwindling as well. Best credits the leadership team’s ability to grasp the importance of that information and move quickly, installing pilot programs to begin to find solutions and rethink its hiring model and the sales role from the ground up. One major hindrance to potential hires, Best found, was the traditional commission structure. “Being a 100 percent commission salesperson in 2017 isn’t that glamorous,” he says. That in part was because of the generational shift taking place in the workforce. In 2016, AutoNation’s employee population was composed of 44 percent millennials, 32 percent Gen X, and 23 percent baby boomers. Those numbers proved AutoNation was doing a better job than its competitors in hiring young talent, but that wasn’t enough. In order to keep increasingly younger talent, Best and his team started to look at every aspect of their hiring and onboarding process, such as: How did they attract people? Once hired, how did they keep them? How would they get people to leave their jobs to join AutoNation? What training would they need? How could they offer employees security in the first ninety days? The first outcome from those conversations was that they’d need to a hire a lot of people. “We knew we’d need to hire 8,500–10,000 people,” Best explains. To draw in that talent, AutoNation would need to showcase the advantages the organization could offer. “A lot of people leave their jobs because of their managers, so we needed to become a learning organization who trains our managers,” Best says. So, the team expanded the leadership operations training program, added eighteen regional training managers, and rolled out field university programs. The number of people that went through the training programs increased from 2015 to 2016 by about 200 percent. Next, Best and his team developed a pilot program called Pay Plan Plus. The traditional commission model that had driven car sales in the past no longer held any clout, so the newly installed plan involves a salary or hourly component—dependent on the state in which that particular AutoNation dealership operates. That was then bolstered by bonuses or incentive pay for achievements such as units sold and stellar customer service. The feedback they’d received, from job seekers as well as their own employees, was that even though the total salaries largely evened out, a consistent paycheck was preferable to the volatility of the traditional commission model. “We’re looking for people who are friendly and people who are consistent,” Best says. “It’s a referral business. You want to buy a car and feel good about it. And if you do feel good, you’ll want your friends to know about that salesperson and how much they took care of you.” By offering stability and security to its employees, the positivity would trickle down to consumers, Best says. Upon announcing the changes, AutoNation saw an influx of talented candidates interested in the role. In addition, many current employees expressed interest in converting to the plan. They’d seen their commissions shrink along with gross margins as manufacturers production increased and dealerships competed, and some salespeople were looking for a more stable, reliable structure. The plan went into effect in the middle of 2016, and by March of 2017, about 70 percent of the employees had either been hired under Pay Plan Plus or converted to it. But once AutoNation started receiving more applications, Best needed to develop a way to better vet them. “It’s a good problem to have, but managers don’t always know what to do with all of these candidates,” he says. As a test run, Best assembled a hiring event in Houston and told sixteen local stores that all they needed to do is show up and hire people. Millennials were encouraged by the innovations on the interview process, such as how managers and candidates now share highlighted information on a tablet computer rather than a traditional résumé. “Transparency was a promise that we had already made on the consumer side, and now we have that on our candidate side,” Best explains. The selected candidates would then go through a two-week orientation and onboarding process called Sales Ignition. The program not only details the sales process, but it also focuses on building customer relationships, a unique focus in the industry. The next step was to move from the pilot stage into reality and bring these plans to fruition. On January 10, 2017, AutoNation held a national hiring event spread across sixteen cities on a single day, which led to more than four hundred prevetted hires. Those new employees were then quickly initiated in the Sales Ignition program, which put to the test the new vision of the HR department, as well as the many trainers that they had brought up to speed.